These Liberty 3 in. Satin Nickel Decorative Spoon Foot Pulls are constructed out of metal for durability and feature a satin nickel finish for a stylish look that can help complement a variety of cabinet styles. Ideal for use as an accent for kitchen or bathroom cabinetry or furniture. Mounting hardware included for easy installation. 3 Virginia Pull, 1 per package The Liberty 3 in. 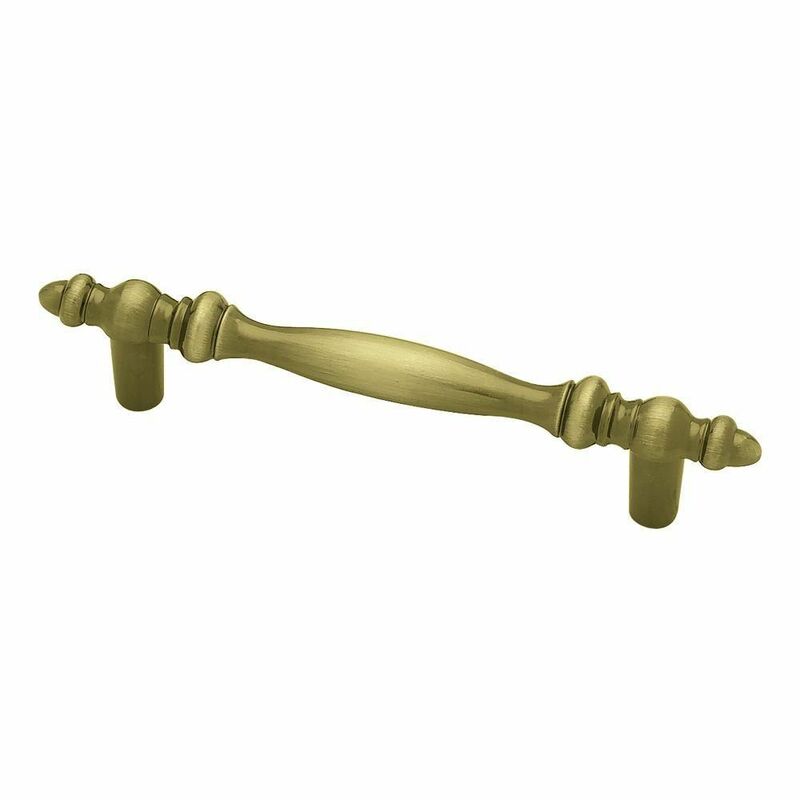 Antique Brass Decorative Pull will give your cabinetry a touch of elegance. It features a 3 in. center-to-center, rear-mount design for easy installation. The metal base material is built to last and is finished in a vintage antique brass. Includes two 8-32 x 1 in. machine screws for easy rear mount installation. 3 Virginia Pull, 1 per package is rated 4.9 out of 5 by 24. Rated 5 out of 5 by MC from I love them!... I love them! Rated 5 out of 5 by cab from Very nice finish and very easy hardware to work with. Looks clean and understated on wood kitchen... Very nice finish and very easy hardware to work with. Looks clean and understated on wood kitchen cabinets. Installed 2 weeks ago and very happy with my choice. Rated 5 out of 5 by Brodie from I love the look of these and they make my... I love the look of these and they make my cabinets look very rich and expensive! !